We just get the new update firmware for iMito MX1 Mini PC. please click ” download“ button to download the above-mentioned three links first,and then copy them into your PC or laptop previously. 1.How to install “Rockship USB Driver? first ,you should connect your MX1 to your pc or laptop(note:you must connect the OTG port ,not DC 5V charaging port),and then open MX1 settings: USB—click”connect to pc”—–developer options—-click”USB debugging” —–Storage—click”mass storage”.so your MX1 will recognize your PC or laptop,an installation interface will pop up. 2)Open your download tool“flash tools\RKBatchTool.exe”,and choose “update.img”,Then the screen will appear the picture below.And choose the pre-downloaded new firmware update ,follow the picture instruction . 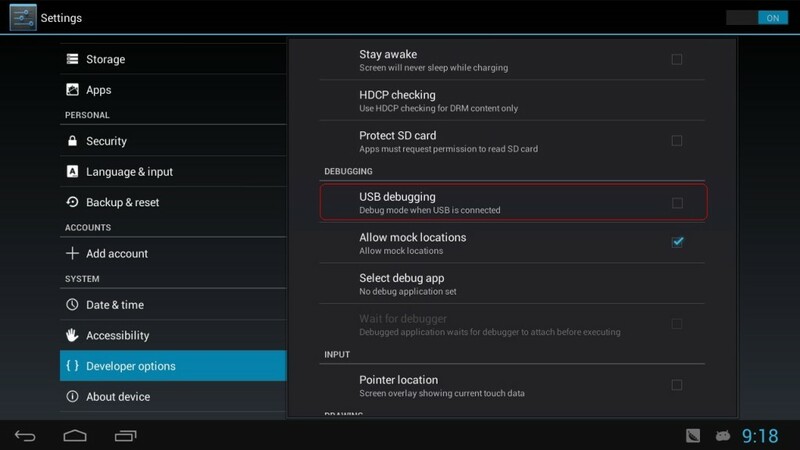 4)Close MX1 setting: settings—-developer options—delete”USB debugging”. 5)When all of settings you have done ,you will see your “flash tools\RKBatchTool.exe as follow,the tool will recognize MX1 and the purple light will turn on. 5)The last step is to click update” button, If all went well ,the green light will turn on, you have updated MX1 successfully. the most important. after you flash this firmware, and next time, when we release new firmware, you do not need to flash in this hard way, you can just copy the firmware *.img file, and rename it to “update.img” and paste it to your Micro SD Card, insert the micro SD card to iMito MX1 and then connect MX1 with tv, the system will inform you “there is a new firmware update detected, and if you want to update”,just click yes, and the flash will go by itself. So enjoy your new firmware, any questions,please feel free to report to us. My MX1 no Physcical button , how to update firmware ? From what I can see in the pictures there are several holes in unit. There is one large on by the OTG port and a couple more by the power port and one more up by the HDMI connector. I'm sure the instructions that comes with the unit will show what to do otherwise you will have to wait till I get mine, in a couple weeks I hope :) ,to sort it out. How to update firmware ? There is No any read me! No instructions for how to upgrade. I read somewhere that you just put the .img in the root of sdcard partition and reboot, i don't know if it will work tho. We just mirror all of the file to dropbox.com, and you can download it again. This time you can't update in the way you are talking, you have to use the way in our instruction, however, once you flash this new firmware, in the new update, you can use the method you talked, just put the .img file in the root of sd card ,and reboot. What are the changes in this new firmware? Impossible to install usb drivers on Win 7 64. Tried everything Even tryin on my Win 8 64 lapto. Trying to replace drivers but no luck at all. Anyone having luck with this? Does the new firmware root also..And she would root it on old firmware before upgrading? Have you tried to use" driverzone scanner" this software to install the driver for you directly? 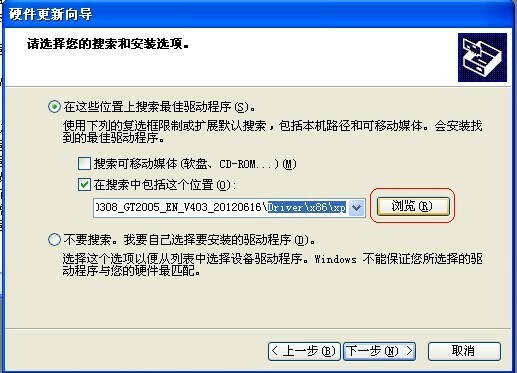 because i have the the win7 64bit laptop,and i use a similar software called" 驱动精灵“ to install driver for me. but you can't understand chinese, so i google and find a similar software called" driverzone scanner" ,hope this is helpful. I just updated the change log on the post, please check. thanks for your suggestion. Ok, finally i got it to work with some help from deadhp1. Then i installed it and started it and activated usb debugging and connected the mx1 to the pc and it began to install the driver. I think i had to restart the Moborobo once to get it to install the driver, then i got the imito device to recognize as an adb device. After that i turned usb debugging off and started the flash tool and i got a purple light. Then you are supposed to hit the switch button to set the mx1 in flash mode before you hit the update button. But when i hit the switch button the screen went black and i lost the connection to the flash tool. After you hit the switch button go into your pc device manager and a new unknown device appears, now update the driver to that device and point it to the Rockship usb driver and the device installs as a RK30 device and connection to the flash tool went online again. Then I hit the update button and success! First boot after the update take several minutes, so don’t worry. 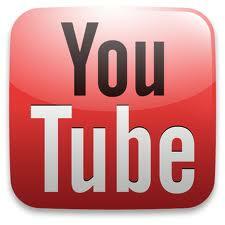 Correct url to post above. My mac address for the wifi are different nearly every time i check under advanced. How am i supposed to use mac filtering on my router? Is the mac address fake on this devices? Don't know if this happened with the new firmware? After my update the wifi is not working ? what do i do now ? My wifi turn on ad finds the network but after i put in the key and so on it just tries to obtain ip all the time. Please try to restart your device and check, it should not be like this, we have flashed the same software, and it works well, if not,just flash again. and we will have another root firmware come soon. you also can flash that one. it wount help either to reinstall the firmware its a fault in the firmware when u use a router . with 3g/ mobile wifihotspot it works but not with router and using wpa2. 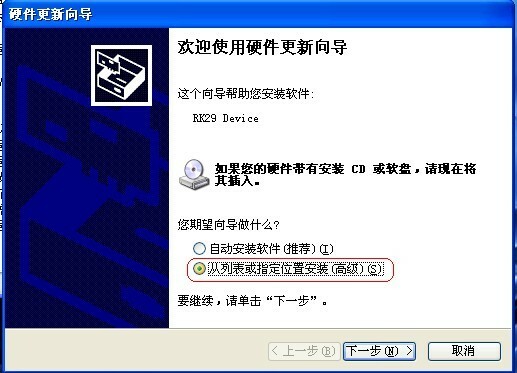 I'm tring to install USB Rockchip driver but my windows xp fails to load it. Is there any other usb driver? Maybe you can try this software" DriverZone Scanner" to install the driver for you. 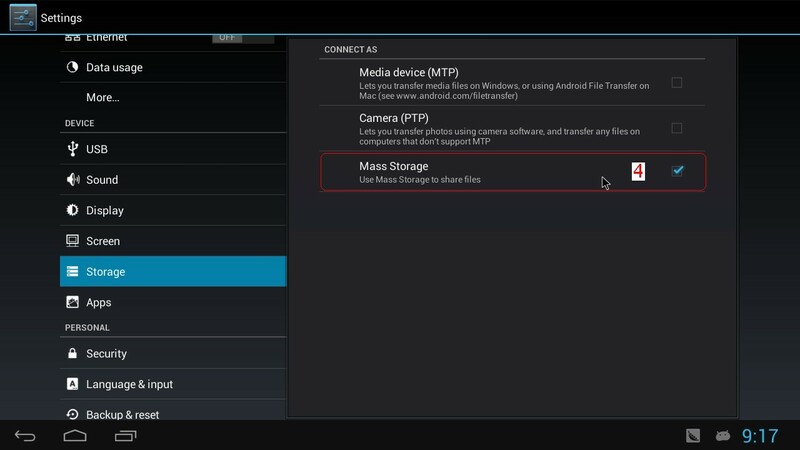 Mi first mistake is to don't setting up usb connection as Mass Storage. But, Rockchip driver installation fails yet. Is necessary to install Android SDK? Another my mistake: I didn't disable the usb debug. So I used the trick by henrik (thank you very much!!) and I update the firmware! i cant install Rockchip drivers on any pc. I chek usb-connect to pc, storage-mass storage and developer options- usb debugging and the drivers dont work, any solution? Hey everyone having issues updating the device. Here are some step by step instructions! Step 8- All the text should be in chinese but this is easy to fix. On the bottom rown the very first button, click it and choose the bottom option of the two choices that pop up. Now everything should be in english. Now click the top right button with the dots on it. Find the update.img in the UPDATE_(date) folder. and choose open. Step 9- This is the tricky part. Choose switch on the bottom row in the middle. The update will fail at first. 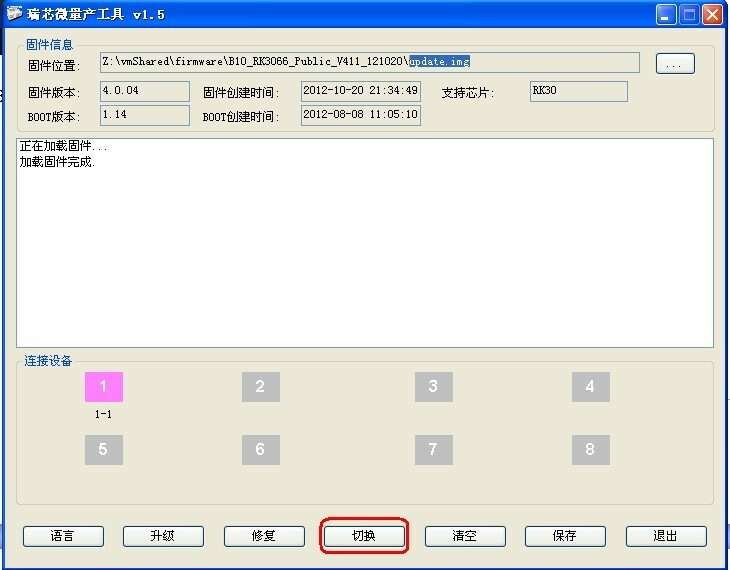 Open the windows 7 control panel and choose ‘Device Manager’ You will see a new unknown device. Right click on it and choose update drivers, then choose Browse my computer for driver software, and navigate to RockusbDriver\amd64\win7 and choose install. Go back to the RKBatchtool window and choose upgrade on the bottom row. You will see that it is installing. Allow it to completely finish. Step 10- Once it’s done the device will reboot and start up again. That’s it now the device is update. 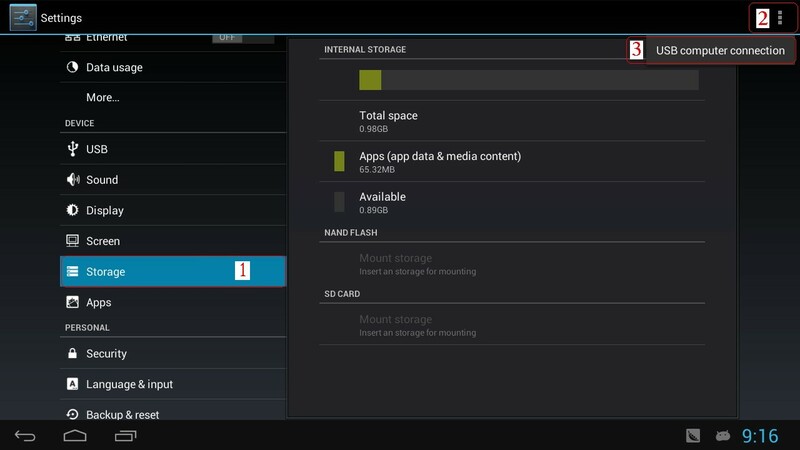 For future updates you only need to copy the update.img to the root of a micro sd and it will automatically ask you if you want to update when you start the device. 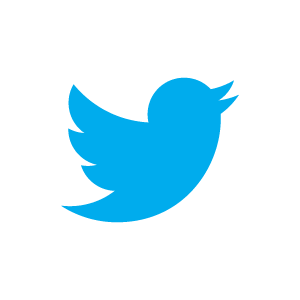 A much simpler way to update from now on. Enjoy. You people REALLY need to learn English or at least explain things properly, because I wasted hours trying different things only to realize that it is just POOR instructions. First make the MX1 work for Moborobo and this is kind of like iTunes where you can install apk's, clean out files, etc. Was that so hard? All the other steps are almost identical to what EVERYONE else is saying but they do not know what the hell a DOUBLE NEGATIVE is. You do not say CHECK OPTION when you are asking people to TURN OFF the option, Jesus Christ. Anyway, once I got these options right, then everything worked as they say but you have to make it work for Moborobo first and then you can make it work for the Flash Tool. Then you just flip options around each time you want to do something, but I found that using WiFi for Moborobo was the easiest method once you have everything working. Path Tool always requires a direct USB cable, so good luck to everyone else out there. Finally, ONLY release with ROOT access or release two versions each time. One with ROOT access and one without, so we do not have to go through the headache and get Android 4.2 working. Can I use this firmware on iMito MX2? If not, is there an equivalent firmware for MX2? Thanks. you can use on mx2. I received a prompt for the lock screen and it required me to set a password / pin which I did do. But I do not want to have a locked TV Stick PC, I would like to turn off the lock screen but I cannot find the lock screen in the settings. How do I change the lock screen settings? My device was shipped with the 11-29-12 firmware version and so far everything seems to be working well, except that the wifi signal seems to be weak. The included power supply was bad, the power fluctuated and caused problems (screen seemed to freeze and it rebooted a few times), the usb on the power supply was loose and did not maintain a good connection, but I purchased a better power supply on amazon and that resolved those issues. My only other complaint is that the screen resolution could be better on big screen TV's, hopefully this will improve in future updates. I have seen some recent TV Stick PC's showing up online that have "external" wifi antenna's and audio jacks, will there be another version of iMito MX series with these features? And since this has a dual core 1.6 mhz cpu, will a future update increase the clock speed from the current 1.2 mhz up to at least 1.4 mhz? Also, will android 4.2 be released for he iMito MX1 sometime soon? The forum at www.freaktab.com is a good place for info and custom rom's, but I would like to see official firmware updates continue to come out frequently to fix issues and improve things. Overall I am happy with the iMito MX1 and I hope to see the series get better as I would like to get another one for the TV in my spare room but I want to wait for the next model to come out. Also, please make the link to your blogs easier to find, it would be nice if there was a direct link on the product information page or a clear "support" link on your website. PS: the android phone app to control the iMito MX1 works well, thank you for releasing it.